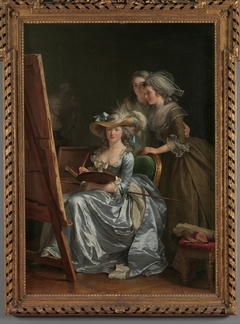 Despite the seemingly rapid brushwork and the summary treatment of detail, this painting was preceded by at least two drawings and an oil sketch. 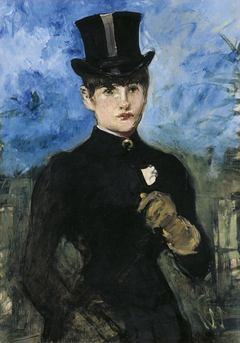 This is Manet's last portrait of his wife; it was painted at Bellevue, a suburb of Paris, where they spent the summer of 1880. 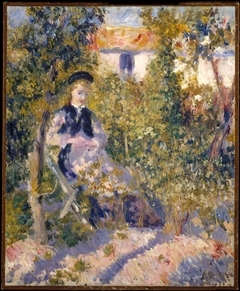 Manet painted this picture during an extended stay, from June to November 1880, in the Parisian suburb of Bellevue, where he confined his painting to open-air studies in the garden. 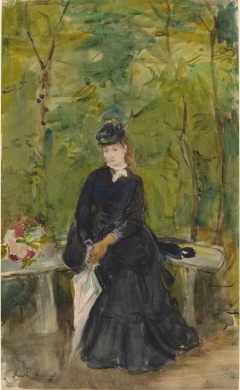 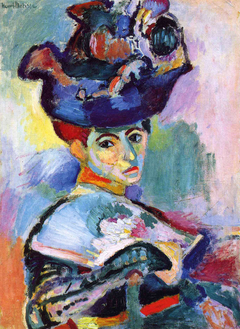 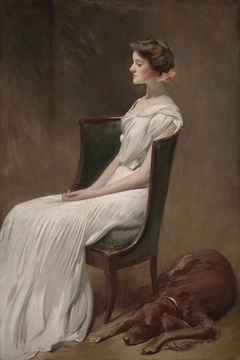 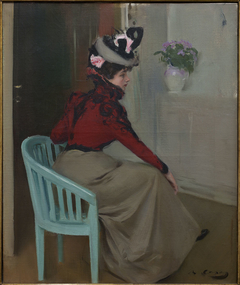 This profile, his last painting of his wife, appears, first, as an ink sketch illustrating Manet's letter of 1880 to Henri Guérard (RW599; private collection, Paris), and subsequently, as a black wash drawing on graph paper (RW409; private collection, Paris), as an ink drawing with her head turned to the right (RW425; Staatliche Graphische Sammlung, Munich), and finally, as an unfinished oil sketch for a painting (RW314, location unknown). 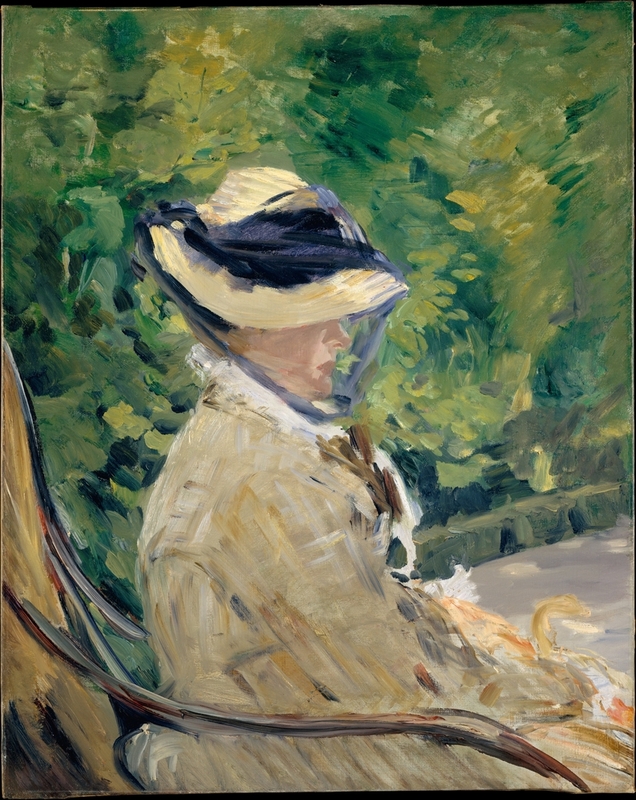 The veil of Mme Manet's hat is lifted in each of the preparatory drawings. 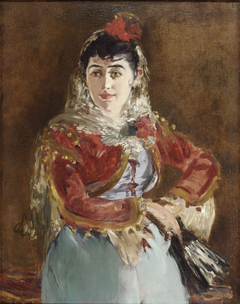 At the same time, Manet was working on a portrait of his mother, Eugénie-Désirée Manet (1811–1885) (RW346; private collection, Paris) facing left, and sketches for these two portraits appear juxtaposed in two of the drawings (the letter of 1880 and the ink sketch in Munich). 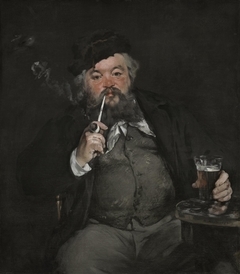 All rights reserved by the Metropolitan Museum of Art. 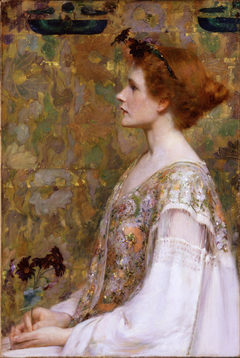 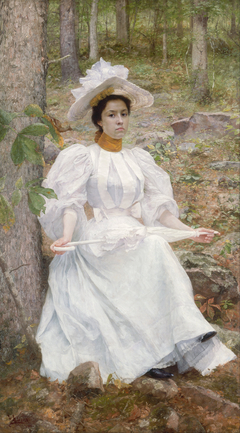 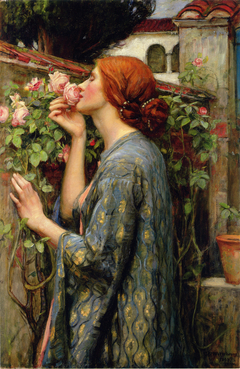 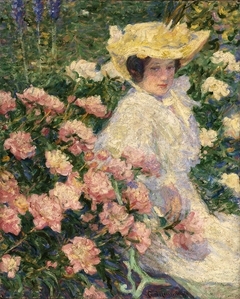 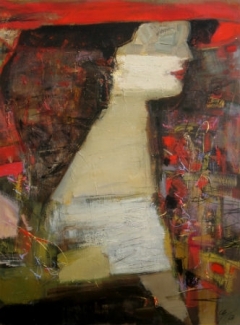 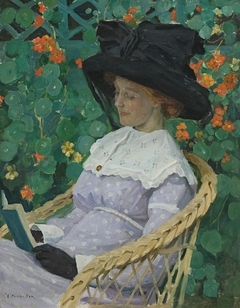 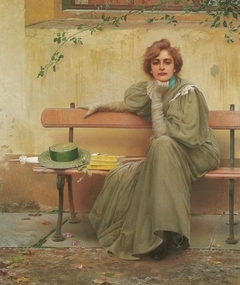 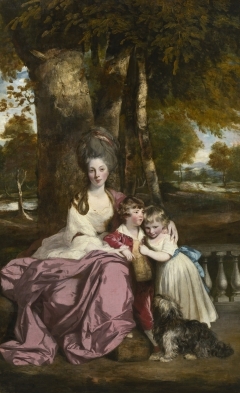 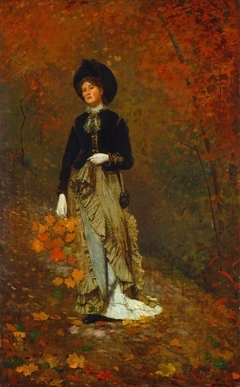 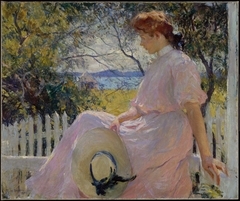 Exhibited on USEUM for Scholarly use.